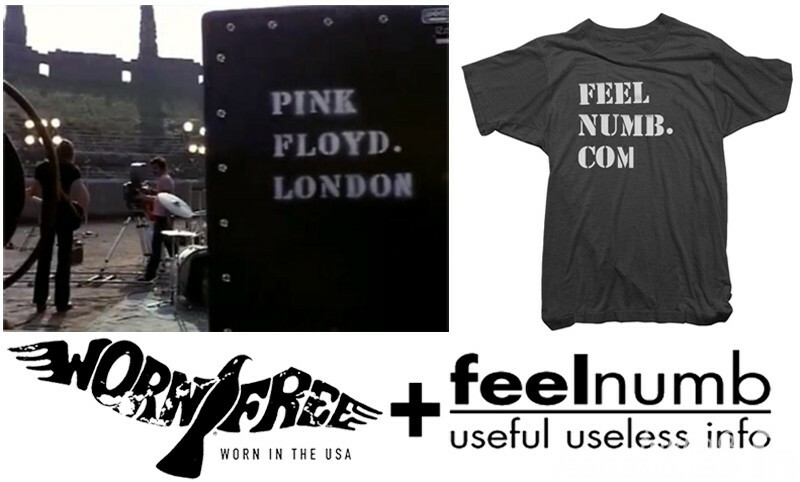 Based on the spray painted amplifiers from the Pink Floyd Live at Pompeii film we have teamed up with Worn Free to create the first ever feelnumb.com t-shirt. In the fashion of feelnumb.com extra detail was give to make an almost exact replica of the stencil spray-painted on the back of amps in the film. Notice the last M on NUMB does match the M on COM just like the Pink Floyd N’s do not match. The super soft washed cotton shirt is available for Men, Women & Children in 3 colors. To celebrate the beginning of our new collaborating we would love to offer you a great deal. ORDER TODAY USING COUPON CODE FEELNUMB10 AND GET $10 OFF YOUR PURCHASE + feelnumb.com STICKERS!!! 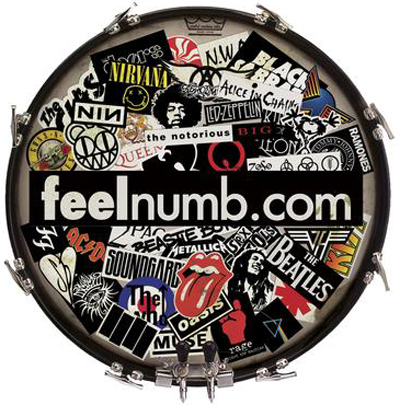 After snatching up your feelnumb.com shirt you can browse the Worn Free roster of Rock Stars and pick up some cool officially licensed shirts worn by Kurt Cobain, Joe Strummer, Frank Zappa, Blondie, John Lennon, Keith Moon and many more.